As summer approaches and temperatures start to rise, simplifying your beauty routine is key to staying cool, comfortable and to save more time for warm weather fun. A cheap and easy way to spice up your summer look is to add a pop of color. 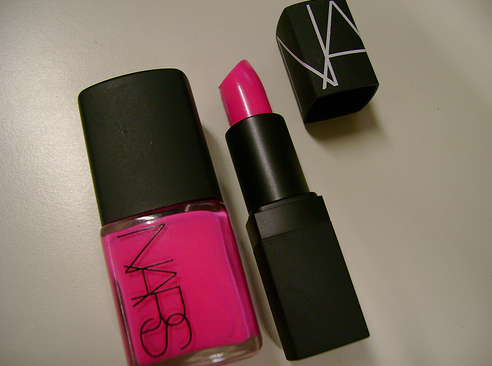 Lips and nails are some of the most playful and creative areas to add a brighter shade. Adding a punch of color in a few places allows you to simplify your beauty routine. 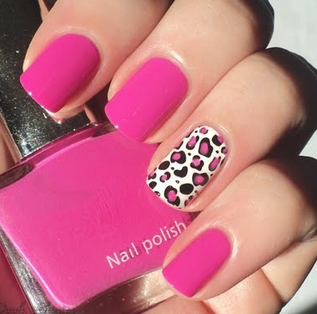 Nails are the best way to try out a trend like animal print or neon. Make a trip to your local drug store and peruse the nail polish aisle; it’s full of creative ideas. For lips, find the right tone that complements your complexion, and watch the complements flow your way. Blushes work well for fair skinned ladies and more orange shades complement olive and darker skin tones. So get carried away, and share your new ideas with us! Love this post. What a relief to just need a pop of color and not a bunch of makeup! Thanks College Gloss! P.s What color lipstick is the NARS one in the first pic?